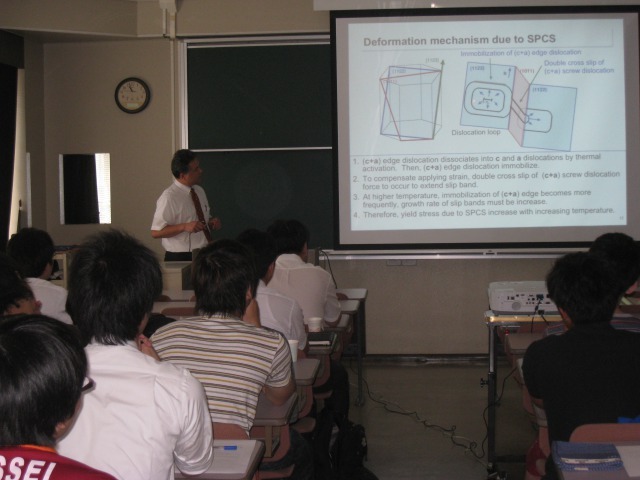 International Education Program for graduate students was held at MRC on August 26, 2014. 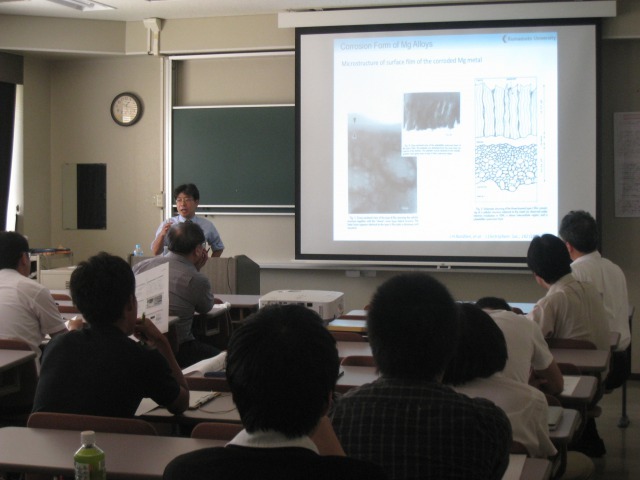 About 35 students from Kumamoto Univ. participated in the Program. 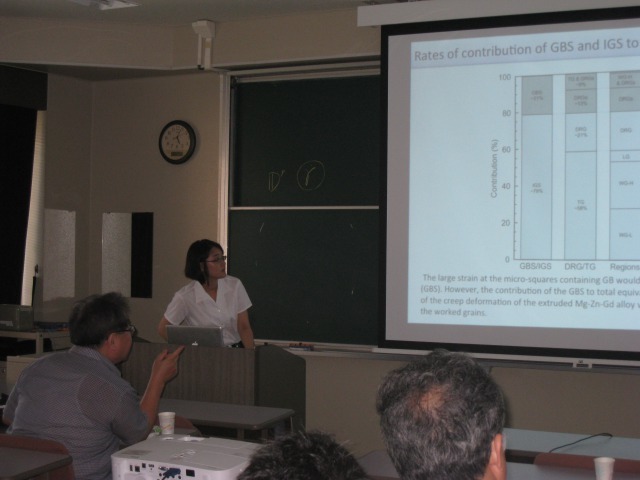 Three graduate students and Prof. Kwang Seon Shin of Seoul National University participated in the Program, as well. 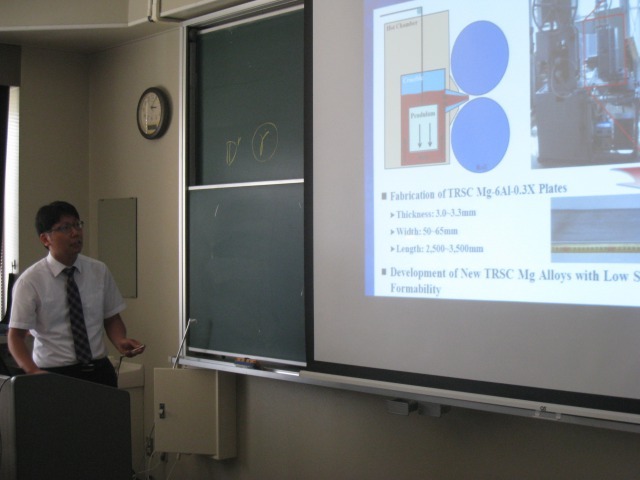 After basic lectures on Mg alloys by MRC professors, young researchers made presentations on their Mg alloys research.